Leiloni De Gruy is a Los Angeles-based health writer and editor. 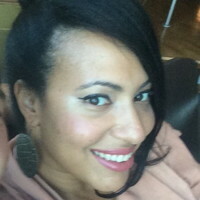 She is an editor for the eDoctors group of consumer health websites at Internet Brands in El Segundo, California, and holds a bachelors degree in journalism from California State University, Long Beach. She is a fellow of the Center for Health Journalism, a program of University of Southern California (USC) Annenberg. Leiloni began writing as a young girl, wanting to capture her inner world and the world around her. It started with journals, where she jotted down her observations and reflections through poetry or creative free form. The therapy and insights writing provided were magnetic. But within that lens was a natural intrigue toward learning what motivates people to act and how those actions impact society. It became clear the only way to blend the two was by majoring in journalism and minoring in sociology in college. She knew not then, but the major-minor duo would later set her up to create empathy-driven, consumer-minded content that resonated with audiences. Once a reporter for the Los Angeles Wave, Leiloni spent five years pounding the pavements and doors of Culver City and South Los Angeles communities. With the mission to improve awareness, she sniffed for exclusive details and intangible nuggets that would provide readers more than the vague snapshot they were getting from other media. She knew a bigger picture could help shape their lives. Today she’s the mother of a bright and spunky three-year-old and wife to her college sweetheart. But don’t peg her. She still uses that same doggish tenacity to write about health in the vein, vasectomy, and plastic surgery circles, using research and industry insights to help further conversations that readers need to hear in order to make informed decisions about health-related matters. Cryogenic freezing is the method of preserving sperm for future use. In a sense, it is fertility insurance. Learn more.